Chewing is something all dogs love to do. Whether it’s their toys and treats…or if you haven’t cracked the training yet - a slipper or furniture, you simply can’t escape their natural desire to chew! 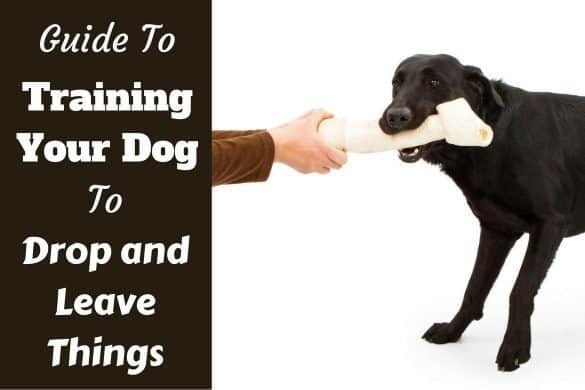 Many owners use chew toys as a part of the training process, and to help keep their dog occupied around the house, but there are lots of other great benefits to keeping your dog supplied with chews. Oral health is very important for dogs, and if you don’t make sure they maintain good oral health, your dog could end up with broken or missing teeth. 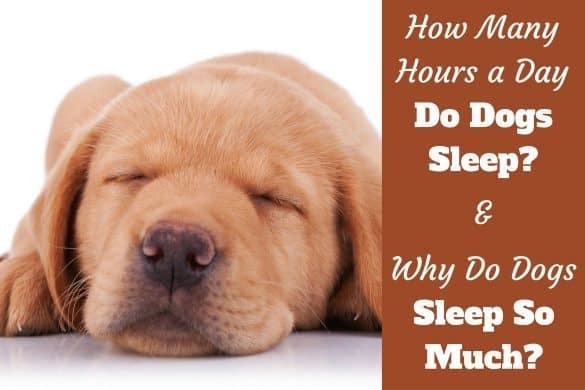 If this does happen, there are lots of other issues to be wary of, like gum disease, and even organ damage if any bacteria manage to enter the blood via your dog’s unhealthy gums. But it’s not only the benefits for your dog that mean you should be regularly using dog chews – they can also help reduce problems with bad breath, meaning you don’t need to put up with anymore smelly slobbers from your canine friend. 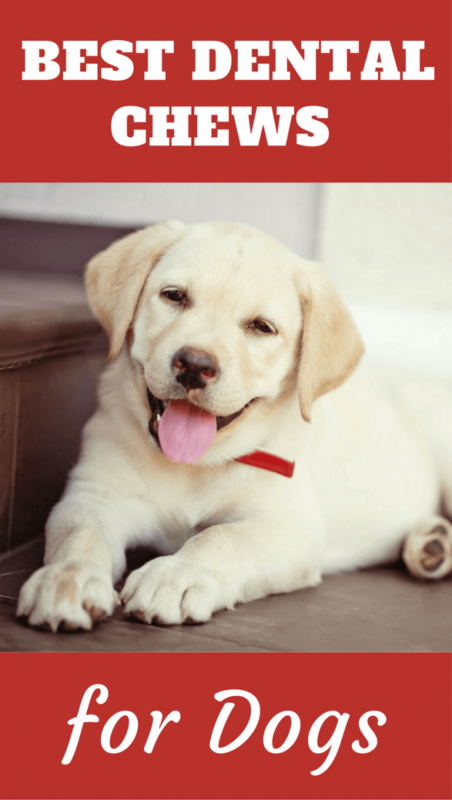 In this article we roundup and review some of the best dog teeth cleaning treats and offer buying tips and safety advice, to help you in your aims to do the best for your dog. Note: The links above take you to more information, current prices and customer reviews on Chewy.com. Don’t give your dog too many small edible treats, as these are likely to be swallowed too quickly to benefit their teeth, and may lead to them putting on excess weight. Make sure the chew you pick matches your dog’s size – it’s not good giving tiny treats to a fully grown Labrador who loves to chew. Take any fresh bones away after a couple of hours to limit the risk of any contamination from the bacteria. Consider your dog’s personality when buying a chew – depending on how aggressive and playful they are, you can get different chews to suit them. Any good pet store will have a huge selection of chews for you to pick from, and the amount on offer can seem quite overwhelming. 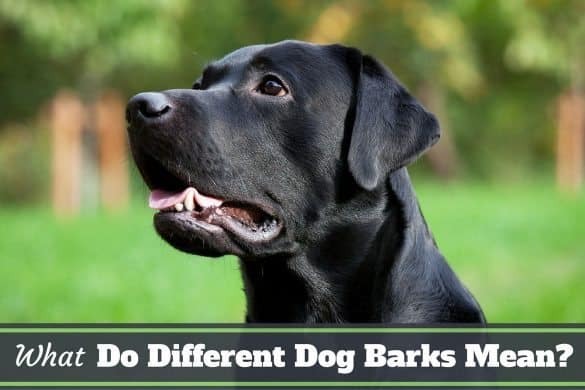 To help you consider which type of chew might be best for you and your dog, we have divided them up into two main categories – natural and synthetic. Dogs are naturally drawn towards the smell, texture and taste of natural chews, so it should be easy to get them into the habit of only chewing what they’re allowed to! There can also be nutritional value in some natural chews too, so it’s not only their teeth and gums that benefit from their time spent chewing. Some owners do find natural chews can be smelly and greasy (Bully Sticks being a perfect example), so they aren’t always great to have in your home…but it’s these qualities that dogs really love! Something to remember though is because dogs love them, they’ll often need replacing quicker than their synthetic counterparts, meaning you’ll be heading to the checkout more often. Bacteria and splintering bones can also be an issue with natural chews, so be aware of the risks to your dog before you buy. In general, the less processed the chew, the less of an issue it’s likely to cause your dog, but always make sure you supervise them properly when they are chewing. One benefit that dog owners tend to love about synthetic toys, is that they’re cheaper and cleaner than the natural ones. There’s no grease on the synthetic toys, so the ‘mess’ they can make and the smell that’s often associated with chews isn’t a problem. There are some issues with going synthetic though, and the main one is dogs tend to be less keen on them than the natural options. The lack of smell and different texture may mean they need encouragement to use a synthetic chew toy at all. 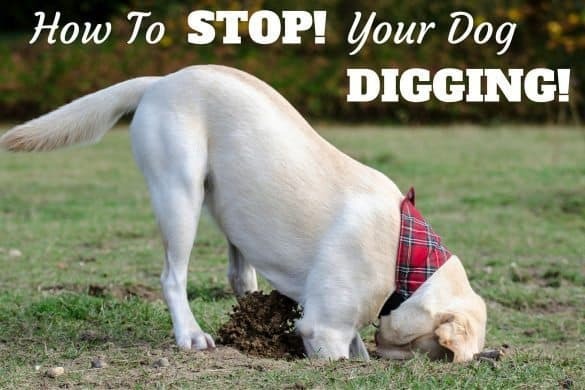 You also need to remember that if your dog swallows fragments of something synthetic like plastic or rubber, this can’t be broken down by their digestive system and so has the potential to cause health issues. This product contains 30 large chews that are great for helping prevent the build-up of tartar and plaque. The use of beef hide in the chew acts as a natural abrasive cleaner to keep teeth healthy, and their poultry flavor means they’re really appealing to dogs. 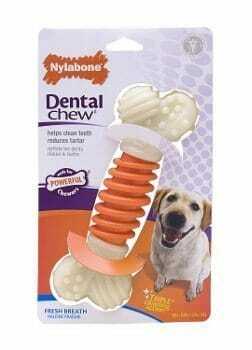 With regular chewing, this product can help get rid of plaque that’s been present on your dog’s teeth for some time. The chew’s ability to remove old plaque means it can help with bad breath issues. The ingredients mean they can even be great for dogs with more sensitive stomachs. As with many chews, be careful to monitor larger dogs carefully to make sure they don’t swallow large chunks during their chewing. These potato based chews offer a varied option for dog owners, as they are wheat and gluten free – so they are high in fiber, but low in fat. 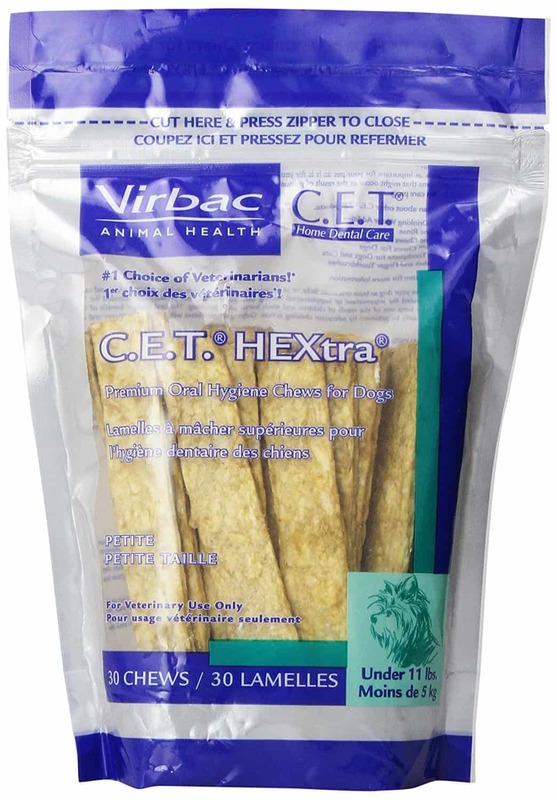 Being vegetable based rather than meat, this is a great way to try a different type of treat for your dog to enjoy. This is a vegetable chew, with no added meat products or chemicals, so it offers owners a nice variation from the most common chews. Their toothbrush shapes are interesting for dogs, and great at getting the plaque from harder to reach places on their teeth. 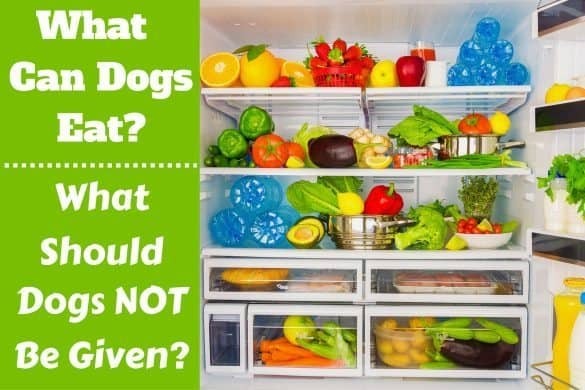 The fact they’re meat free means they aren’t as messy as other natural chews…grease and other product residue is much less likely to get left on your floors or furniture. If your dog is a real meat lover, they may need a bit more tempting to go for these treats over the more common meat based ones. This chew is designed specifically for adult dogs of larger breeds, and works well to combat issues with oral health in their target market. The well-known brand name also means many dog owners are happy to trust and buy this great product. The X shape of the chews means they can help remove plaque from in-between the teeth, and keep the gums nice and healthy. Mint flavored chews may sound odd for dogs, but they do love them, and it comes with the added benefit of nicer breath! They’re slightly softer than some other popular natural chews, so are gentler on teeth that may be starting to develop problems. Too many of these chews will lead to weight gain in your dog, so make sure you only give them one a day to keep their teeth healthy. The mix of textures found on this chew ensures dog's not only find it appealing, but it’s also good at providing plenty of dental stimulation. This toy is specifically designed for larger dogs, so is a good option for a fully grown large breed like a Labrador. When your dog chews this toy, bristles will be raised that can help keep their teeth clean and plaque free. Investing in this chew won’t break the bank – it’s a great affordable option to keep your dog happy at home. Durability is on this toy’s side, as it’s known for lasting a good amount of time with most keen chewers. As prompted by the packaging, you’ll need to replace this if any plastic starts to shed. This will be a long time if your dog likes the whole toy, but if they take a liking to one particular corner you may find you need to buy a new one sooner than you anticipated. 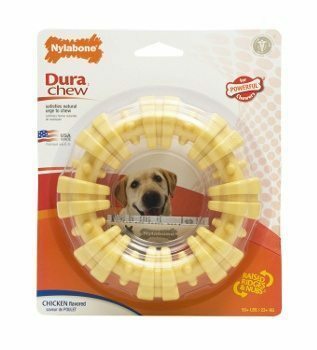 The interesting design of this chew means that dogs find it easy to grab and bite, so they’ll be amused for long periods of time without having to chase this toy all over your floor! 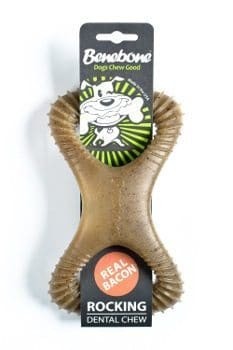 Real bacon flavor is used for this chew, so dogs are naturally very keen to chew it. This is a durable toy, and the shape allows your dog to hold on with their paw while they chew, so it’s a good choice for keen chewers. The company supports Canine Welfare, so you can feel like you’re doing your bit to support less fortunate dogs when you buy this toy. The edges are designed with ridges to help dogs get a good bite, but this does mean this area will wear quickly. Once you start to see signs of the product wearing or shedding, you’ll need to replace it. Designed for powerful chewers, this is a good option for larger dogs that are big fans of their chew toys. This product is designed to be long lasting, so could save you quite a bit of money in the long run. Price – even though this is a long lasting toy, the price means you could replace them regularly with no big expenses to worry about. Different textures used throughout the toy mean it keeps the dog interested in chewing for long periods of time. Bristles will be raised during chewing to help keep your dog’s teeth clean and free from plaque. The ring shape design means your dog can easily bite and grip this toy. This is designed for larger dogs who are powerful chewers, so this may not be the best option until your dog is fully grown, or if they have ongoing issues with their teeth. 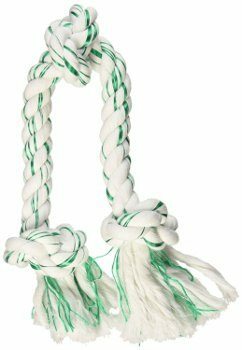 This product is a great twist on the traditional knot tug rope toys, with the addition of the spearmint to help freshen your dog’s breath. At the cheaper end of the chew toy market, this is well worth giving a go if you haven’t tried your dog with this style of chew before. Dental floss has been twisted in amongst the natural fibers of this rope toy to help keep your dog’s teeth clean and healthy. 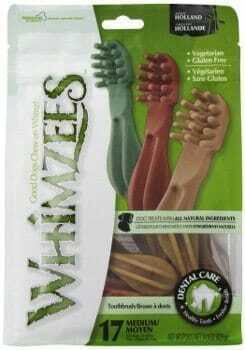 This product is a nice option for dogs with sensitive mouths and gums, as it won’t irritate them like some harder products can. The added mint flavor means you don’t have to suffer with your dog’s bad breath! Great for keen chewers, this is a nice durable toy to keep your dog amused in the house. Once this toy starts to show signs of wear and tear, you may end up with threads around your house that will need cleaning up, so do make sure you replace it as soon as you notice it’s not in great condition. 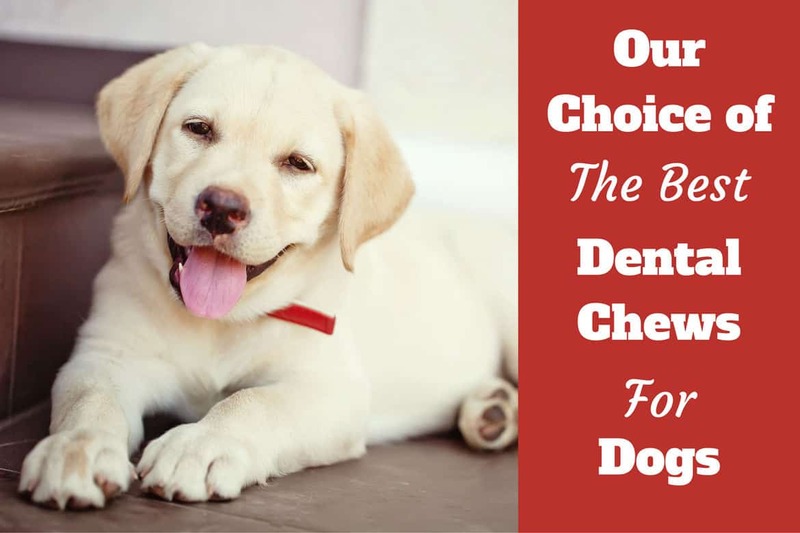 The great thing to remember when deciding what chews to buy for your dog, is they aren’t a major investment, so you can afford to play around with different styles to find the best one to suit your needs. When trying a new chew with your dog, remember to monitor them carefully to make sure it’s durable enough to withstand the amount of biting your dog likes to do. 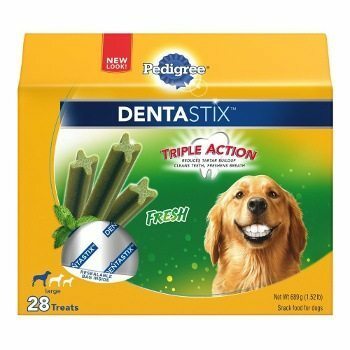 Once you ‘ve found chews that are durable enough to suit your dog’s personality, you can be confident that you’re helping them maintain good oral health, so they can enjoy their food and play without worries of losing teeth or gum disease…and they’ll be less tempted to chew items that don’t belong to them!